Despite continued Brexit uncertainty, there are signs that domestic UK equities are coming back into favour with investors after cash was poured into mid-cap exchange traded funds during the first quarter of 2019. ETFs in Morningstar's UK Mid-Cap Equity category saw their highest quarterly level of net inflows in more than a decade, Morningstar data shows, at €872 million from January to March. That’s almost three times as much as the previous high of €313 million in the third quarter of 2013. Now, it’s not a large category, with just five offerings available, but, considering just how out-of-favour UK domestic stocks have been in the three years since the Brexit referendum, it’s noteworthy. The £1.2 billion Vanguard FTSE 250 ETF (VMID) led the way with €477 million of inflows, by far the most since its inception in September 2014. It was a similar story for the £1 billion iShares FTSE 250 ETF (MIDD), which saw inflows of €268 million – just its third quarter of inflows since the third quarter of 2016. Following just behind those was Invesco FTSE 250 ETF (S250) with €123 million. It’s no secret that UK mid-cap shares have been sold off heavily relative to the overseas earners that are found in the large-cap FTSE 100 index. In 2018, the FTSE 250 lost almost twice that of the FTSE 100, down 15% compared with the blue-chip index’s 8.7%. But, as the market predicts that the chance of a ‘softer’ Brexit is now higher, the 250 has outperformed in the year to date, albeit slightly at 12.7% versus 12.1%. Still, the UK market overall has underperformed both the US and the MSCI World in the year to date, as well as during both 2017 and 2018. Indeed, since the beginning of 2017, the FTSE All-Share has returned around half that of the MSCI World at 14.7% and 28.2% respectively. UK Stocks "Priced for a Recession"
And, while there are clearly some clouds on the horizon, Andrew Impey and Patrick Harrington, directors at OLIM Investment Managers, believe this is unfair. “The UK market is trading, we believe, at the type of rating and yield that you see in a recession,” says Impey. “OK, the UK economy is not doing great, but it’s doing reasonably well – it’s certainly growing faster than Europe now,” he adds. “Is the UK economy fundamentally challenged? Not really. What we have seen recently is the tentative onset of rising confidence in UK stocks. Sentiment has rebounded at the beginning of 2019, with an investor confidence survey run by investment platform Hargreaves Lansdown jumping to 67 in January, from 52 in December. For global investors, the region remains a strong consensus underweight, Bank of America Merrill Lynch’s most recent fund manager survey showed. But sentiment has rebounded from its most bearish of 41% underweight in March 2018 to 28% a year later. Still, for many, there are plenty of areas of attractive value in domestic UK plc. Aruna Karunathilake, manager of the Fidelity UK Select fund, highlights a trio that are trading at a discount to similar overseas peers. Autotrader (AUTO), the online marketplace for new and used cars, is trading on a one-year forward price/earnings ratio of 19 times. That compares with Australian peer Carsales.com (CAR), which is on 22 times. There is little difference between the two, notes Karunathilake, “with both dominating their respective markets and enjoying string network effects”. Similarly, UK retail bank Lloyds (LLOY) trades on a forward earnings multiple of 7 times, a significant discount to Belgian retail bank KBC (KBC) at 10 times. The UK-listed business of Dominos Pizza (DOM), meanwhile, trades at just 16 times versus the US-listed business (DPZ) which is on 29 times. We’ve already highlighted areas some fund managers are looking to within UK domestics, and Impey says his Value & Income Trust (VIN) topped up some of its existing positions in domestic stocks at the start of 2019. While Morningstar analysts do not rate any of the UK Mid-Cap Equity ETFs, Tracy Zhao, investment research analyst at The Share Centre does. 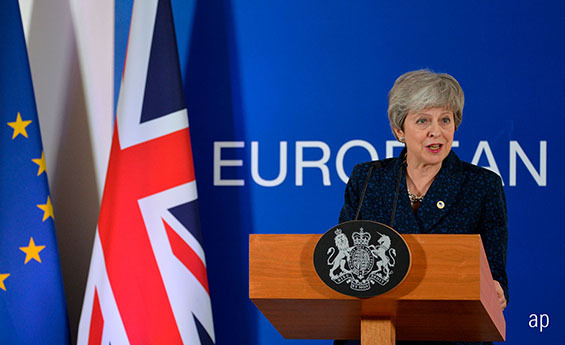 In the event of a softer Brexit, Zhao says she would expect a rebound in investment spending in the UK and general activity levels picking up for more UK-focused companies. With that in mind, Zhao thinks the DB X-Trackers FTSE 250 ETF (XMCX), which gives full replication of the index, could be a good place to look.